The Price House, circa 1830, is Camden’s last remaining example of a combination store-residence. Named after Susan Price, an African American who purchased the building in the early 1900s, the structure is typical of the Charleston-style architecture used by many local merchants in the early 19th century. The store occupied the first floor. An outside stairway led to the living quarters above. The building also served for a period of time as a boarding home for female students at nearby Mather (Boylan-Haven-Mather) Academy. The Price House was renovated in 1964 and again in 1989. Today, it is owned by the City of Camden and is managed by the Price House Commission. 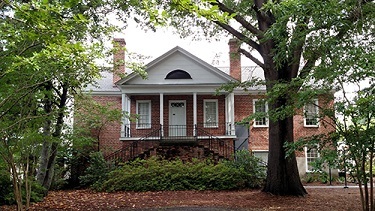 An integral part of the Camden Historic District, the Price House is home to the Tourism Department of the City of Camden.